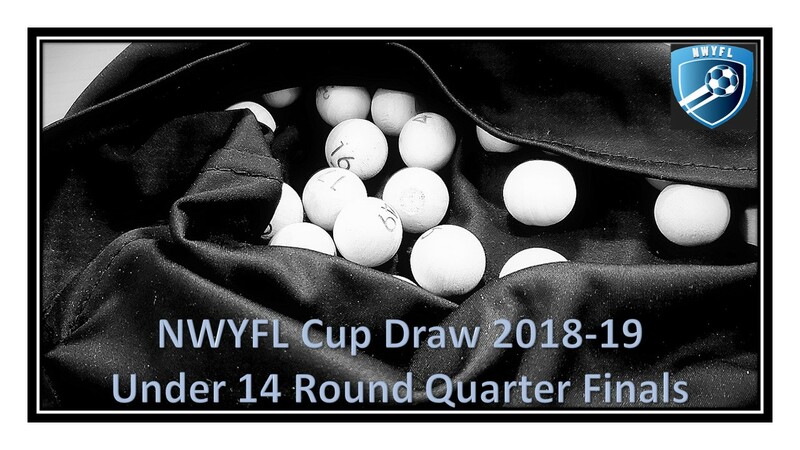 The draw for the NWYFL Quarter Finals for the U14 age group has now been completed. The NWYFL would like to thank former Swindon Cricket Club Captain Will Nichols for sparing time to help the League. 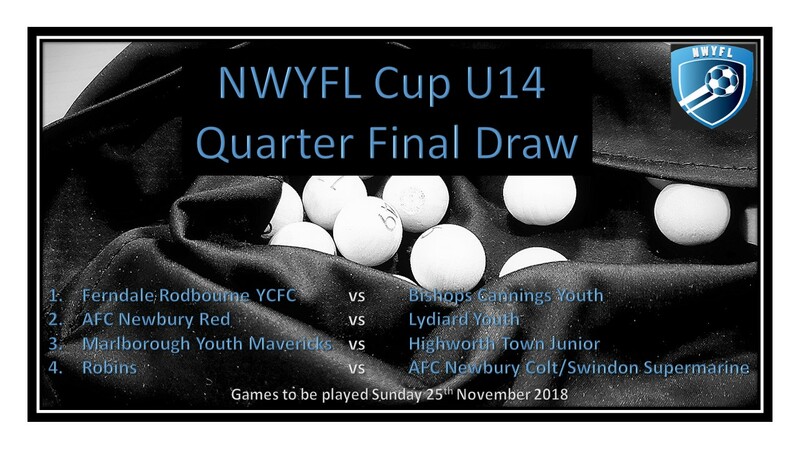 All matches are due to take place on Sunday 25th November 2018 unless agreed otherwise with the League. Should the kick off time be inaccurate, please contact Julie Doyle (julie.doyle@nwyfl.co.uk) ASAP to request an amendment. A reminder that all matches must derive a winner of the day, either through normal time, extra time (10 mins each way – all ages) or penalties (starting with 5 each, before sudden death if required). The home team cover pitch hire costs whilst the away team cover Referee expenses.